The Oxford Centre for Maritime Archaeology publishes a monograph series as part of the publication programme of the Institute of Archaeology. 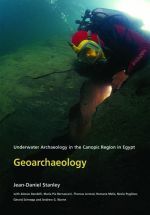 The OCMA oversees the scholarly publication of the fieldwork conducted by the IEASM in Alexandria and the submerged Canopic region, as well as post-excavation studies of the material culture recovered from these excavations by IEASM specialists and Hilti Foundation sponsored post-graduate students. The monograph series also includes works based upon OCMA’s conferences. Each volume is assessed by an internal review committee comprising principal members of staff from the Institute of Archaeology, the Oriental Institute, the Classics Faculty and the Ashmolean museum and is also fully peer-reviewed. 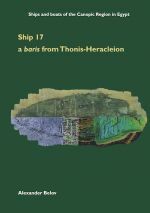 A detailed analysis of the construction of ship 17, a Late Period vessel discovered by Franck Goddio and a team from the Institut Européen d’Archéologie Sous-Marine during underwater excavations at Thonis-Heracleion, a sunken city in Aboukir bay, Egypt. Drawing upon Herodotus’ description of boat-building, the author concludes that ship 17 is a baris-boat and highlights its specifically Egyptian method of assembly. A remarkable range of inscribed bronze objects were found in the demolition layer of a temple identified at site M8 at Thonis-Heracleion. 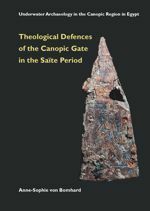 This work shows how they performed a crucial role in the theological, rather than physical defence of Egypt in the Saïte Period. 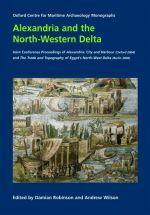 This volume presents 16 papers that explore aspects of the economic and religious life of the northwestern Nile Delta in the first millennium BC. The papers concentrate on presenting new research on a range of material culture—ceramics, coins, weights, statuettes, statues, royal decrees and abandoned ships—from the on-going excavations of Thonis-Heracleion, a now submerged port-city on the edge of the ‘Sea of the Greeks’. 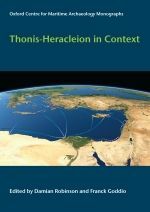 This research is put into its local context through number of additional papers that deal with Naukratis, the river-port upstream of Thonis-Heracleion, and others that seek to place both port-cities into their wider landscapes. 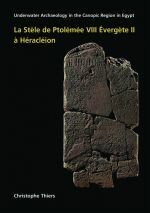 The author presents an edition of the stela found during underwater excavations in the Aboukir Bay, at the site of ancient Thonis-Heracleion, and inscribed with the Decree of Saïs. The text is a parallel to that inscribed on another stela found at Naukratis at the turn of last century. 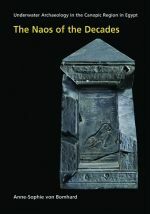 The author gives an introduction to the discovery of the two stelae, as well as a description of the monuments, including the scenes and captions found in the lunette (Part II). von Bomhard goes on to discuss the arrangement of the texts and figures depicted on the decree, and the possible symbolism behind them. 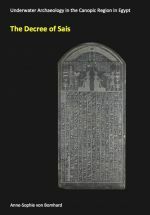 The bulk of the text is occupied by a careful transliteration and translation of the text, followed by an exhaustive bibliography, an index of words discussed, a synoptic overview of orthographic and figurative variations, and an index of Egyptian words. This work contributes to the understanding of royal benefactions to temples and aspects of trade and taxation systems in force at the time of the decree. 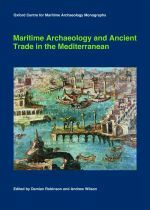 This volume comprises twelve papers that look at the shifting patterns of maritime trade as seen through archaeological evidence across the economic cycle of Classical Antiquity. Papers range from an initial study of Egyptian ship wrecks dating from the sixth to fifth century BC from the submerged harbour of Heracleion-Thonis through to studies of connectivity and trade in the eastern Mediterranean during the Late Antique period. The majority of the papers, however, focus on the high point in ancient maritime trade during the Roman period and examine developments in shipping, port facilities and trading routes. This monograph presents the almost completely reconstituted Naos of the Decades with a set of photographic images. The four additional fragments, recovered in East Canopus during the excavations of the European Institute of Underwater Archaeology, are examined with the two fragments from the Louvre and the Greco-Roman Museum (Alexandria, Egypt). The largest of the new fragments consists of a cosmogony of over 20 columns with no known parallel, disproving the order of the decades as it was initially assumed and suggesting a far older tradition of Egyptian astrology. This volume presents the geoarchaeological analysis of Aboukir Bay by the Smithsonian Institute. The study outlines the reasons for the submergence of the ancient coastline through a detailed analysis of geological core samples. 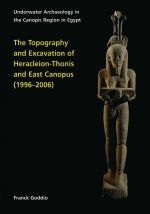 This book presents the first topographic outline of Heracleion-Thonis and the nearby Ptolemaic and Byzantine sites, all currently excavated underwater in Aboukir Bay. This volume is the product of ten years of survey and excavation.